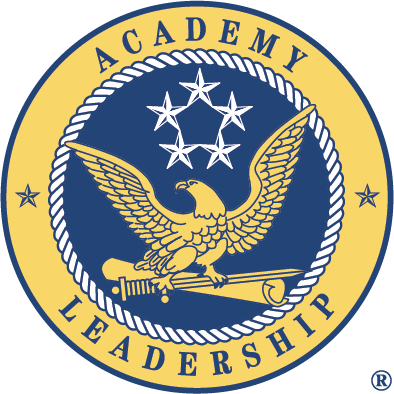 Academy Leadership was founded by Annapolis and West Point graduates who also have long records of success in both the military and private business sector. As service academy graduates, we believe that our education instilled in us passion to lead others, persistence and drive to win, integrity, and the importance of clarifying each person's contribution to the overall mission. Our extensive experience in business has demonstrated to us that these same characteristics are valuable in leading any organization, and that they can be further honed through training and leadership development. Founded by graduates of both West Point's and the Naval Academy's officer training programs, the company principals have developed a leadership training regimen that employs the respected strategies used by these military academies. In addition, they have combined these winning tactics with time-tested business philosophies to create the training process. Our process is focused on enhancing the personal and organizational performance of leaders at all levels. Our goal is to enable organizations to achieve business goals by developing their most valuable resource - their leaders. We work with organizations to transform employees (at all levels) into effective leaders who can energize others to accomplish corporate objectives and create tangible business results. Our philosophy is training only for a purpose. We will not conduct training for training's sake. Our training is focused on helping companies achieve their business goals. Thus, our approach is to conduct purposeful training that is student-centered, experience-based, and performance-oriented. Purposeful training enables individuals to meet their specific learning needs and meet the needs of the organization. Develop and apply new courses of action to real situations. This creates a cycle of continued application and learning as the participants learn this process as well as the specific content of each lesson.